This kit has everything you need to set up a double strand electric fence of up to 100 metres - all you need to add is 2 D-Cell batteries. If you need a longer fence, please add more tape and posts. 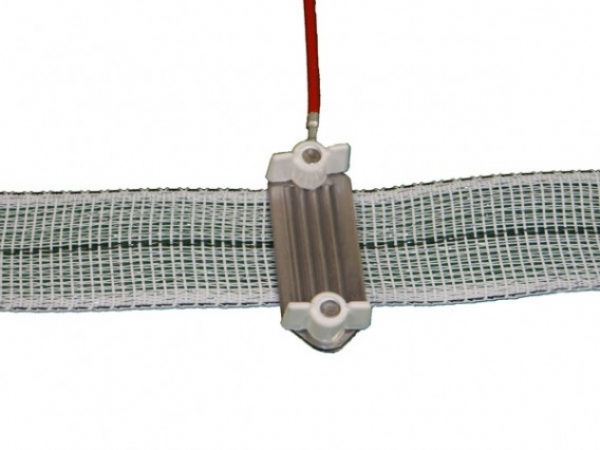 This energiser can power a fence of up to 800 metres. This is a good quality kit. The energiser is made in the UK and comes with a 3 year warranty. The tape is made in the UK with good quality plastic and steel. The fence posts are made in Germany and are robust. 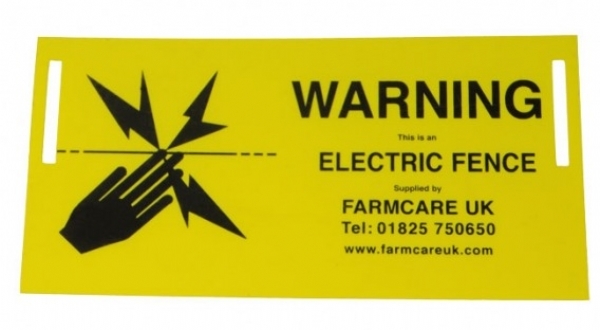 Recently there have been many cheap electric fence imports with weak plastic and steel and the quality difference is marked. 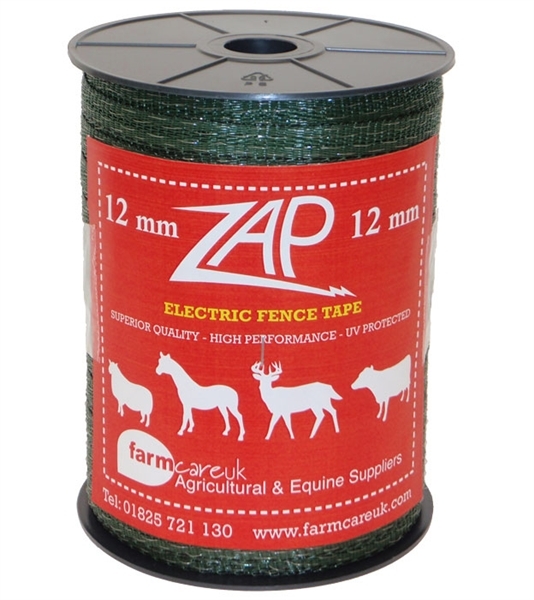 This tape is 12mm wide and is great for short fences or windy spots (it will not have the 'sail affect' of wider tape). 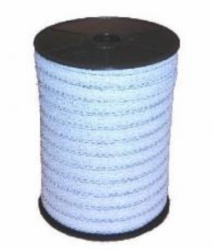 It is often used for strip grazing. It is made in the UK with good quality plastic and steel. 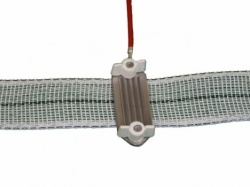 It has 5 x 0.2mm stainless steel conductors so has excellent conductivity for short and medium length fences. 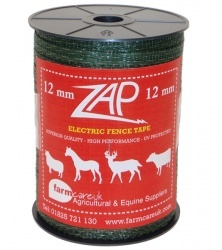 If you're looking for an inexpensive but well made energiser for strip grazing - this may well be the energiser for you! It runs off 2 x D-Cell batteries (not included but readily available in supermarkets) and these should run your energiser for approximately 8 weeks, 24 hours a day. 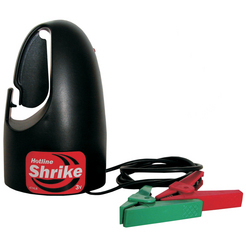 The Shrike energiser is ideal for strip grazing and small paddocks. Simply hand the energiser on the fence, attach to an earth stake of at least 0.5m and this neat little unit will power up to 0.8km of fencing. It even comes with a 3 year warranty. 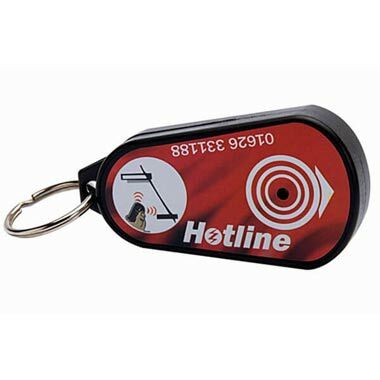 The Shrike has an on/off switch and a light to indicate that your fence is working. Please note, this is a 3 volt energiser with 0.4 joules of stored energy. Set up: hang the unit on a fence between two posts close together, or hang from a larger earth stake. 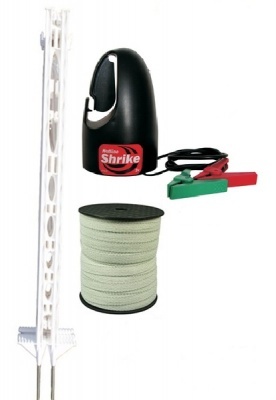 We Say: This kit is fantastic value, is of excellent quality and has all the basics you need for a shorter fence. It is very simple to put up and a good starter fence.